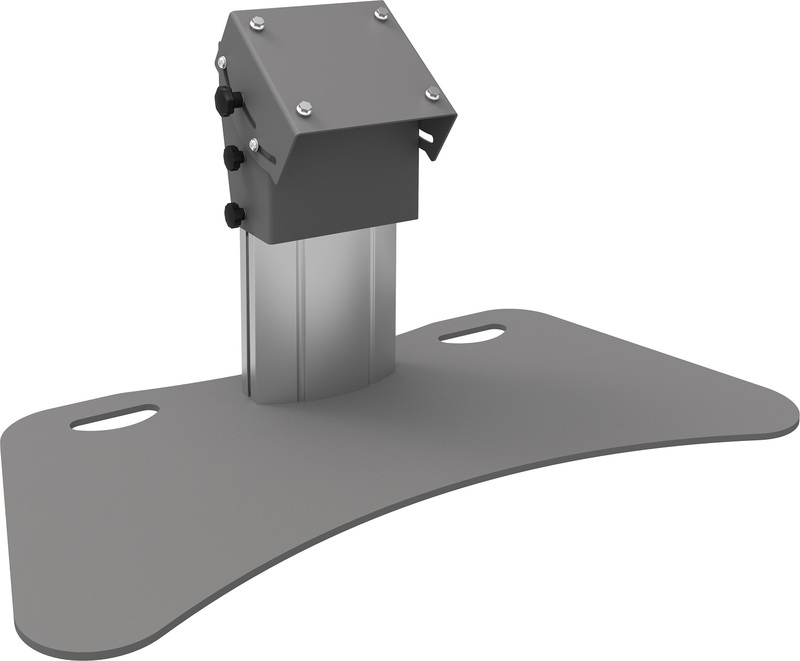 Producten - SmartMetals Mounting Solutions B.V. 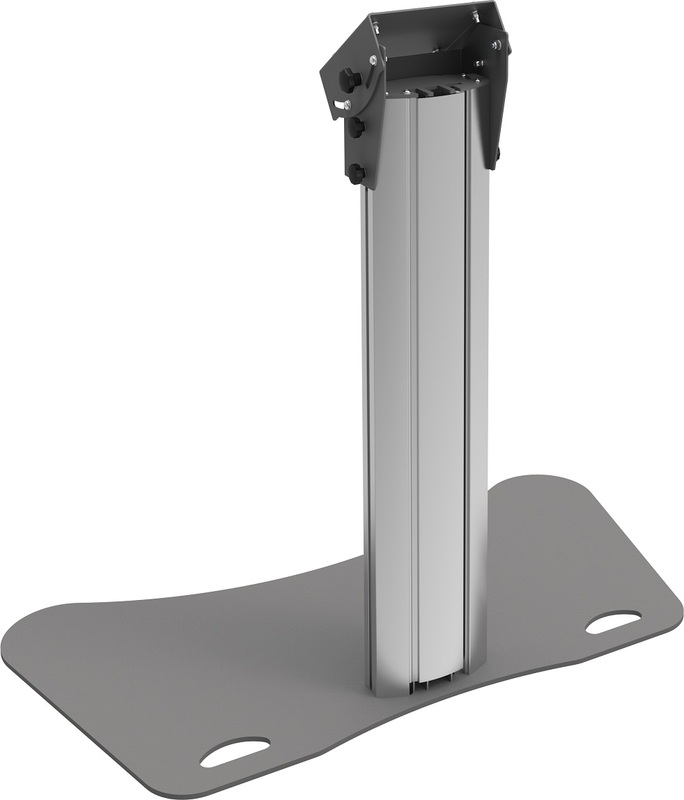 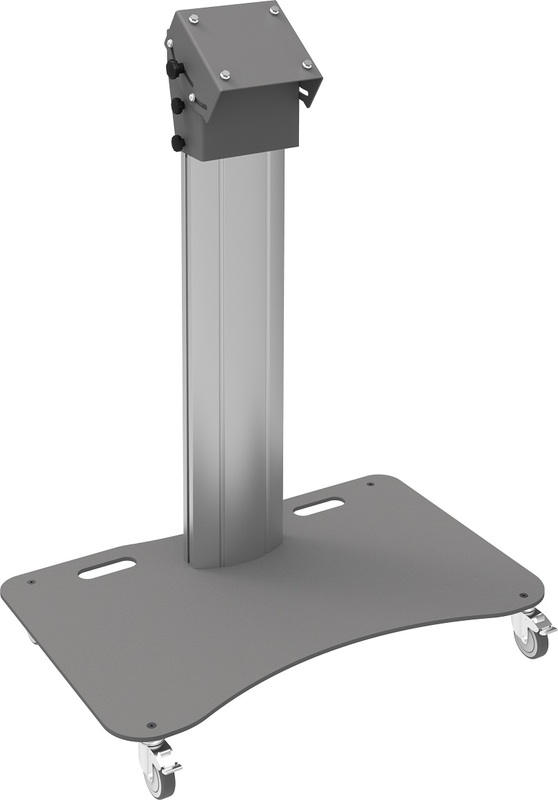 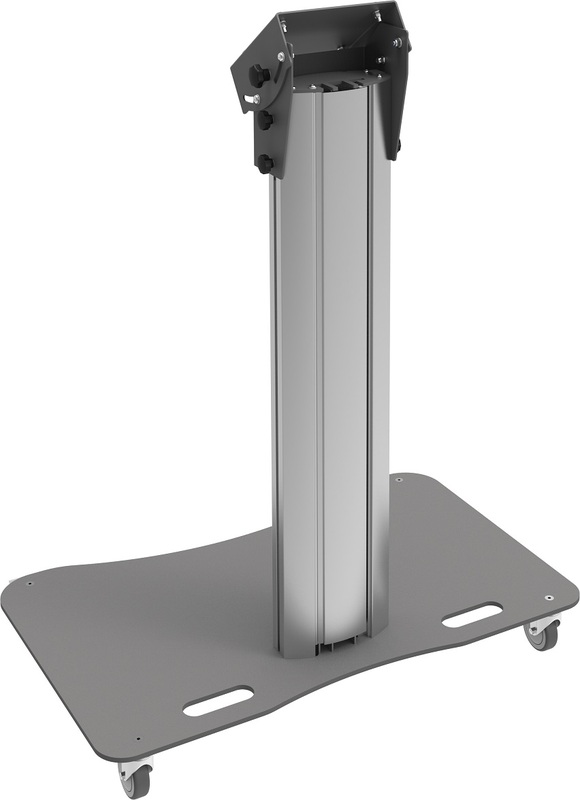 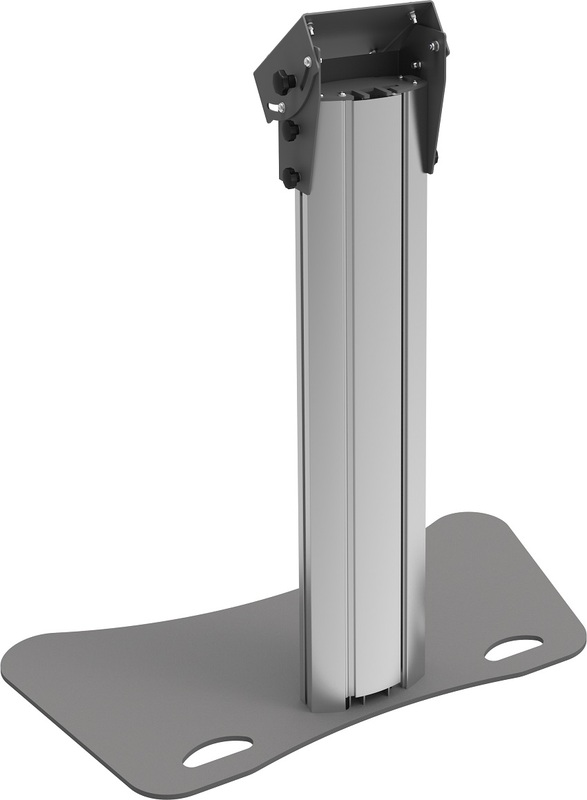 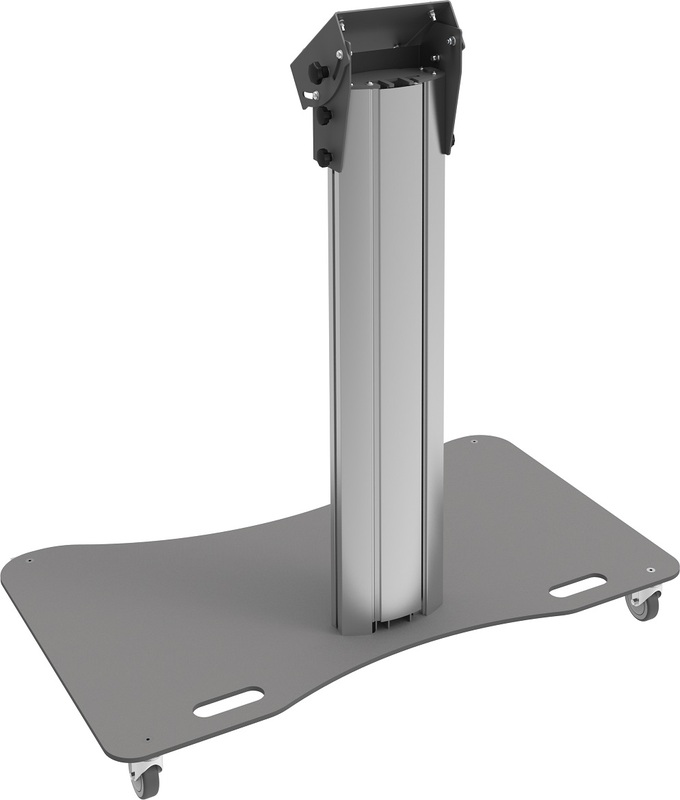 This Desk stand is developed for your touch or regular flat panel, to place it on a desk, side cabinet or counter. 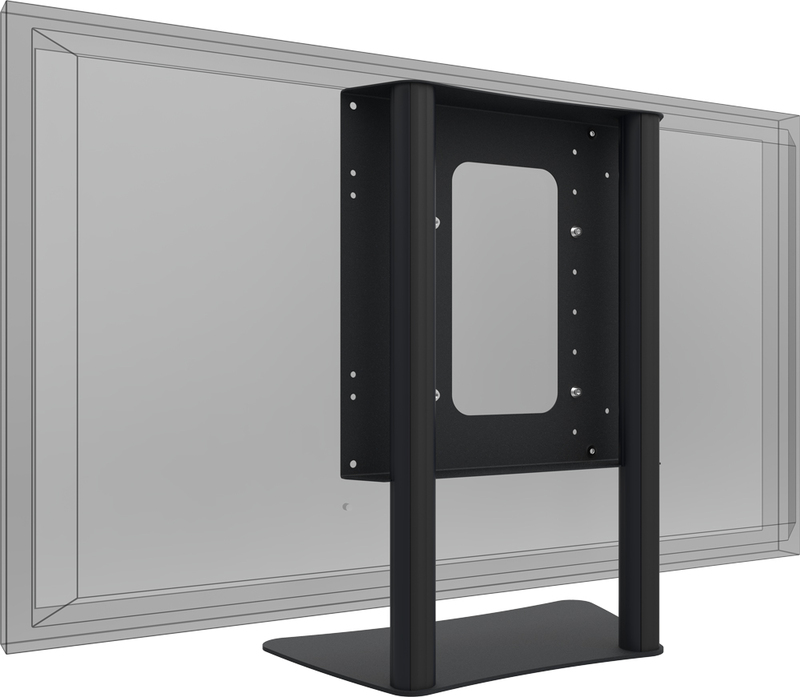 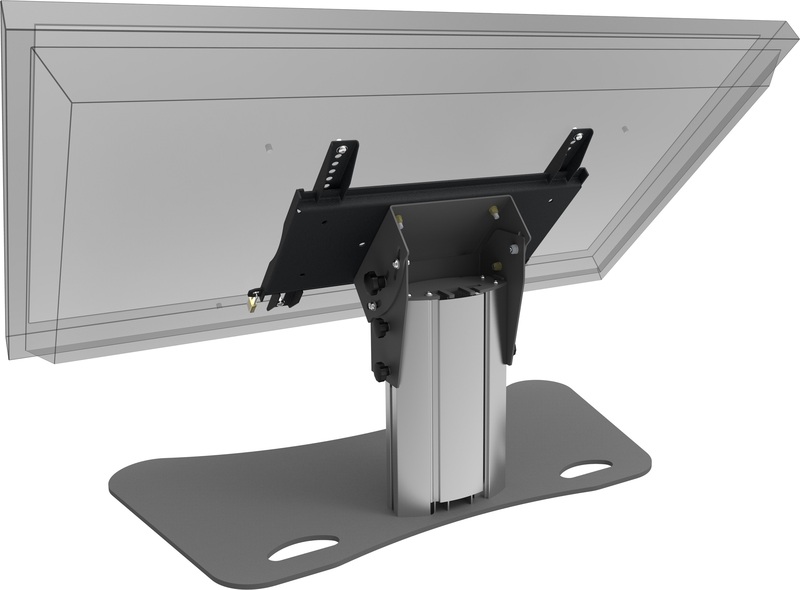 It includes a VESA bracket withVESA 200, 300, 400 and 400 x 200. 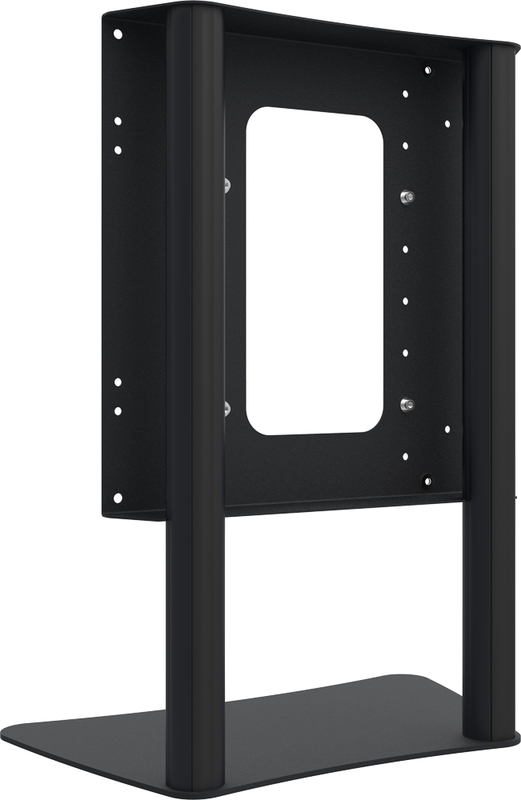 It is suitable for flat screens 32 – 55 inch, max. 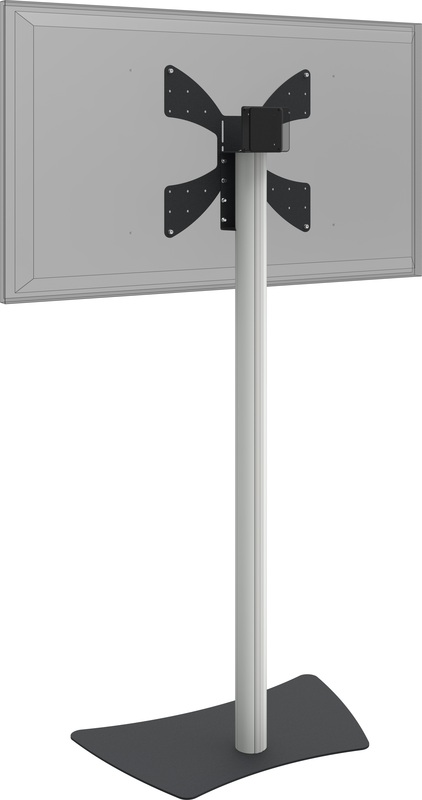 40 kg. 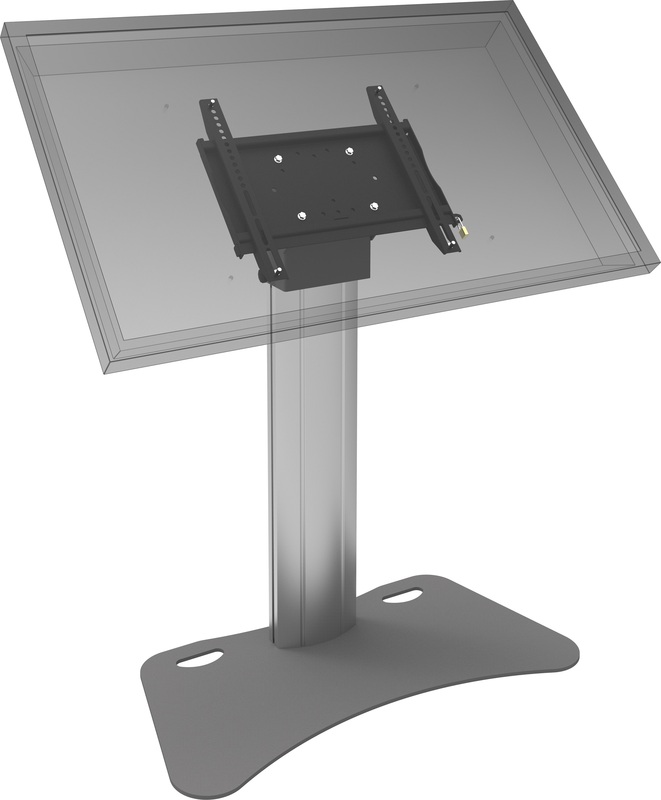 Also in a compact board room or meeting room with weak walls, it is possible to install a flat panel or monitor in an aestetic way, using this design floor stand. 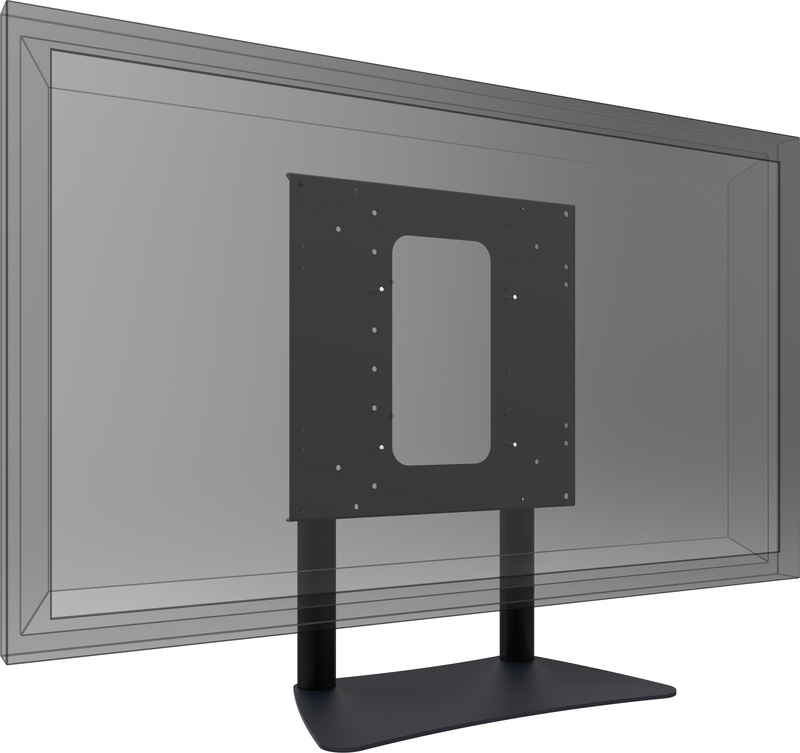 The 062.0550 can be used for monitors up to 30 kg and 55 inch. 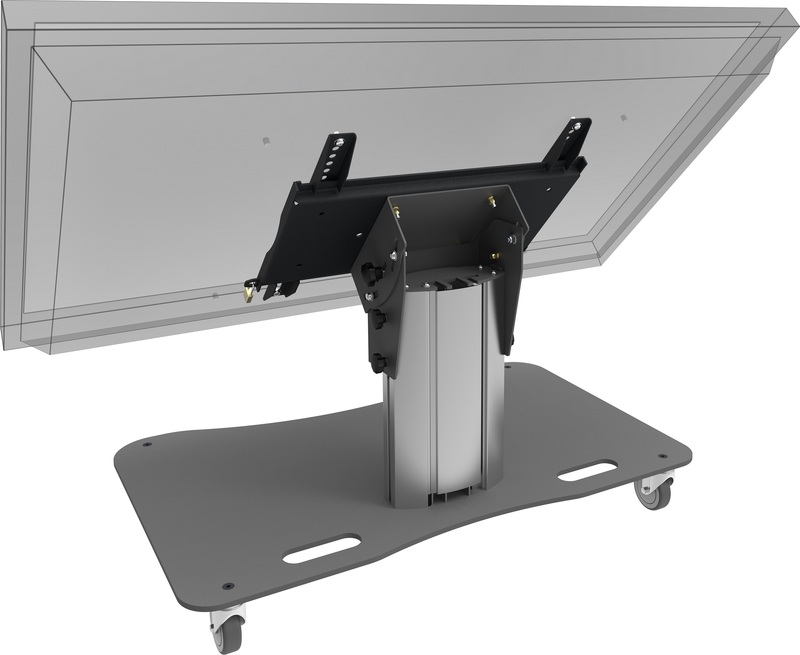 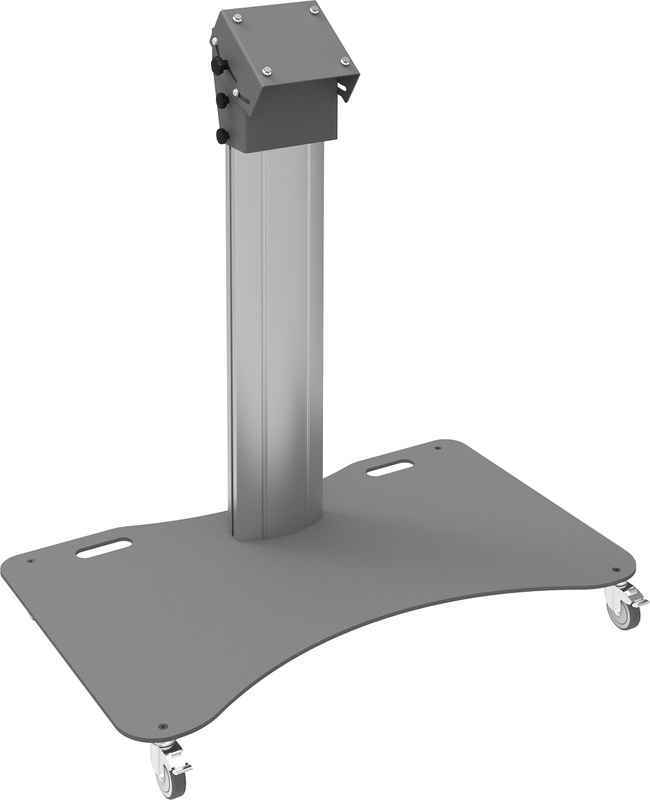 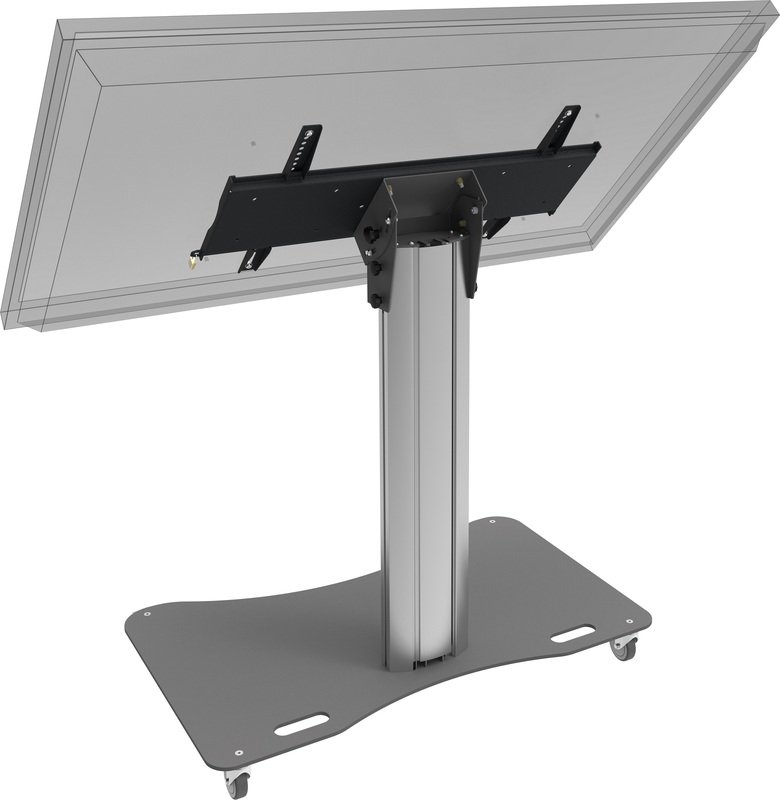 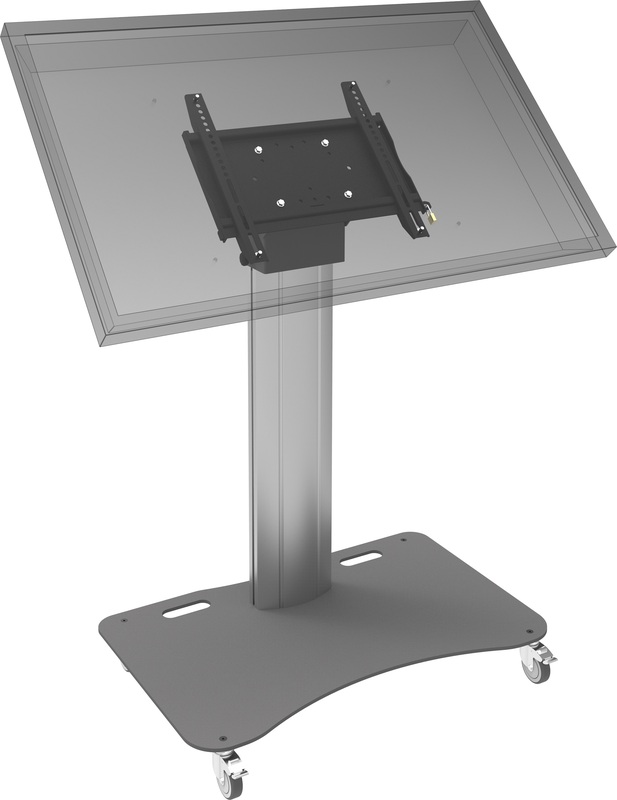 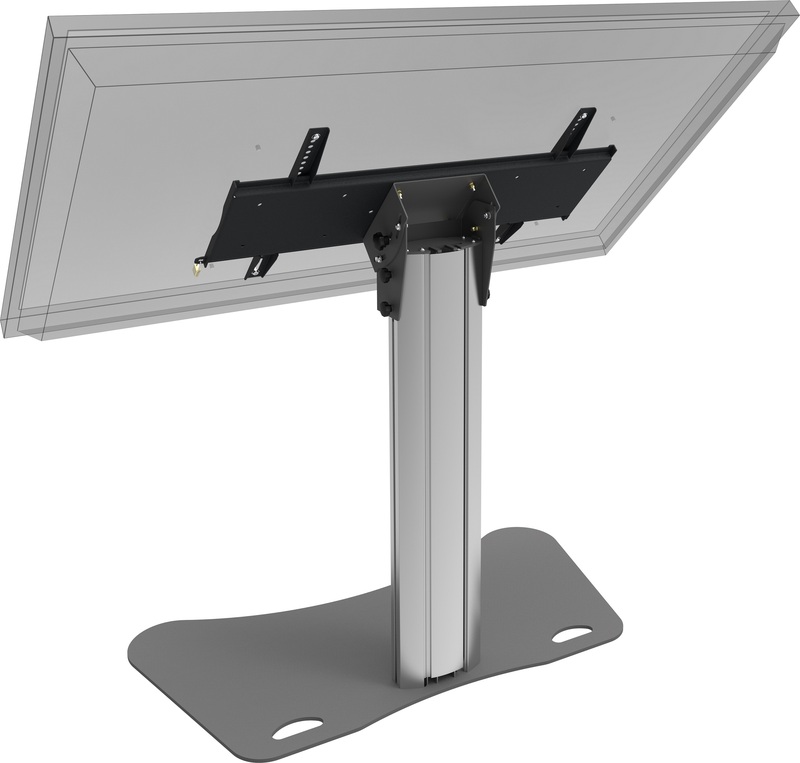 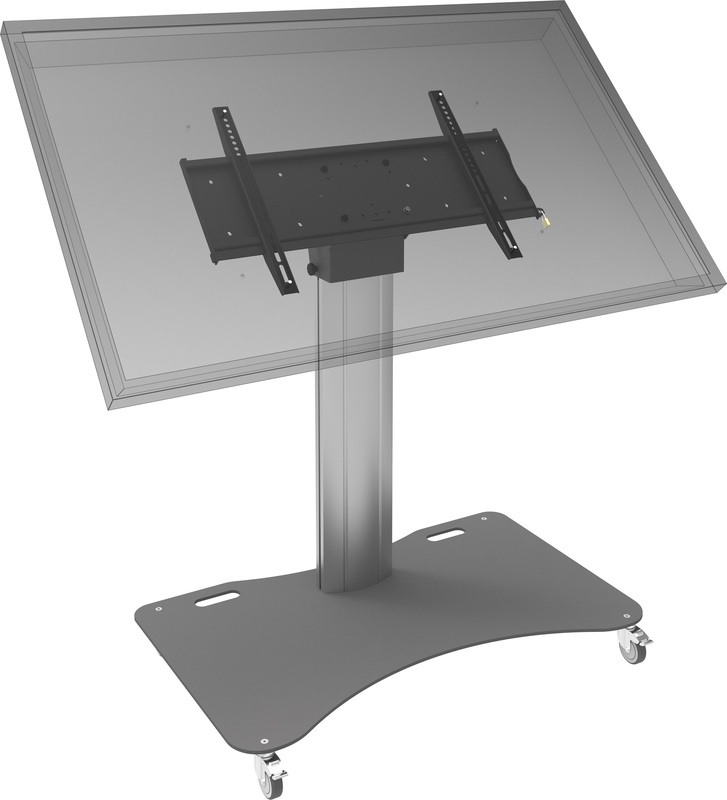 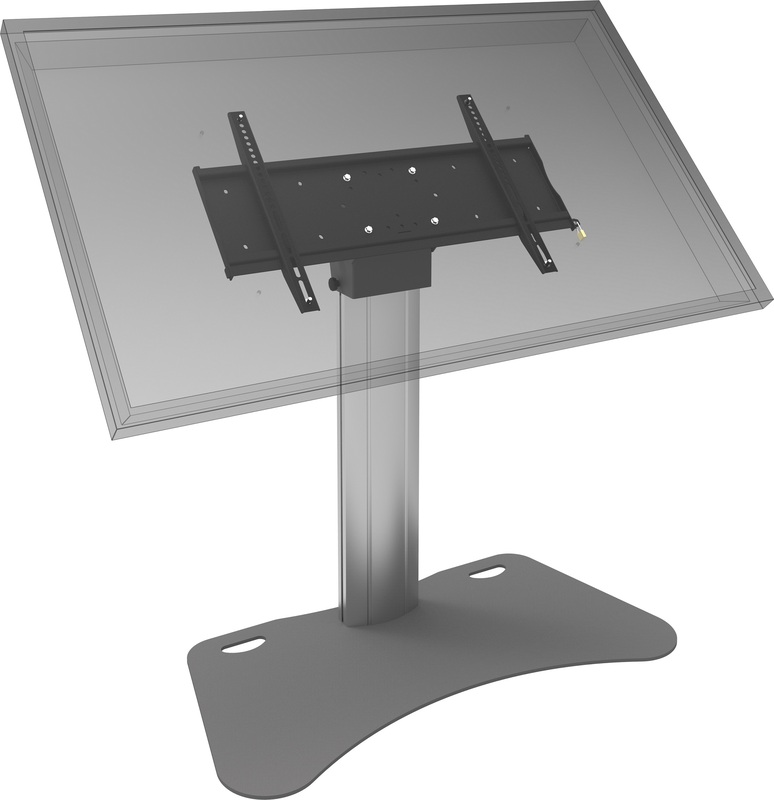 The monitors position is manually in height adjustable, and offers a viewing height between 130 and 150 cm (centre panel); offering an ideal height from sitting position by the meeting table. 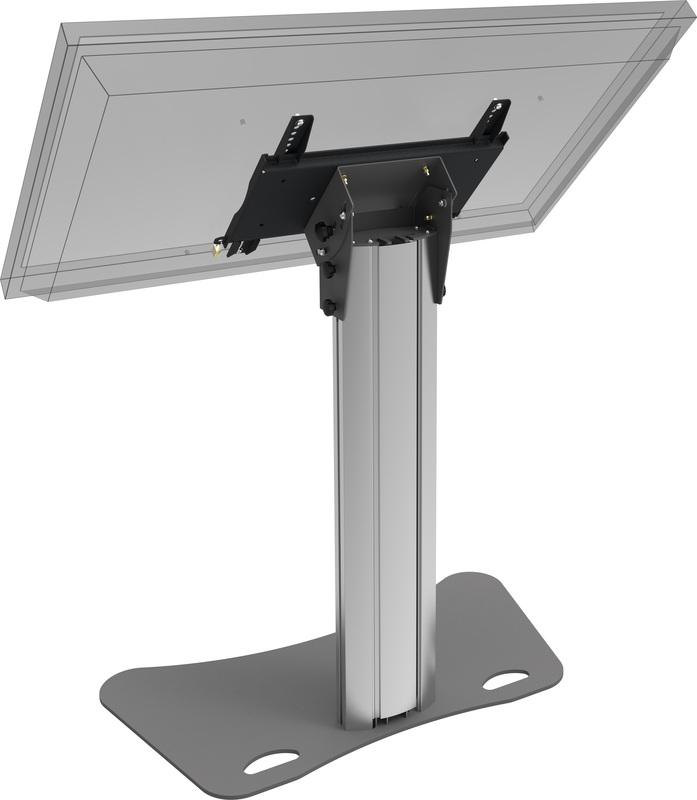 The inconspicuous design with black matte base plate and slim round, glossy white column fits in nearly any interior; other colours are available on request. 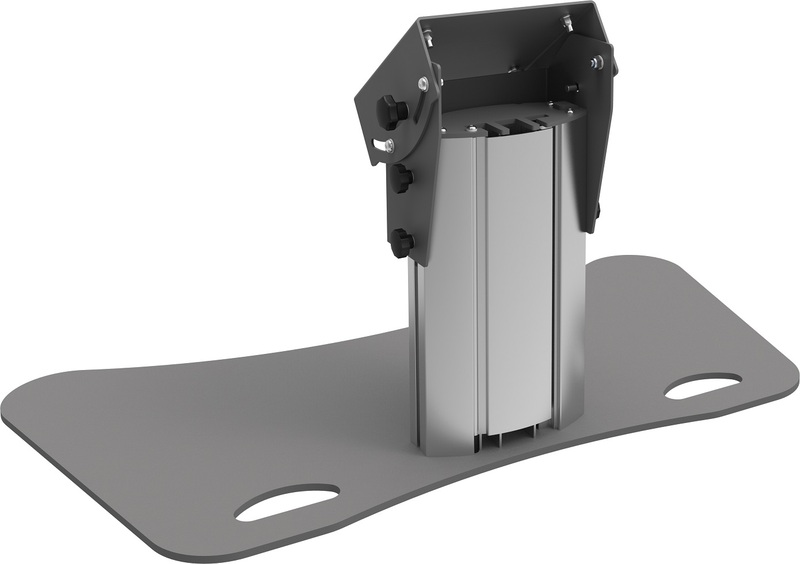 The cabling can be run through the column at the back side. 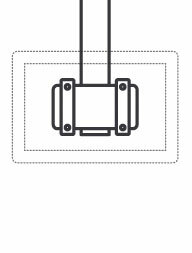 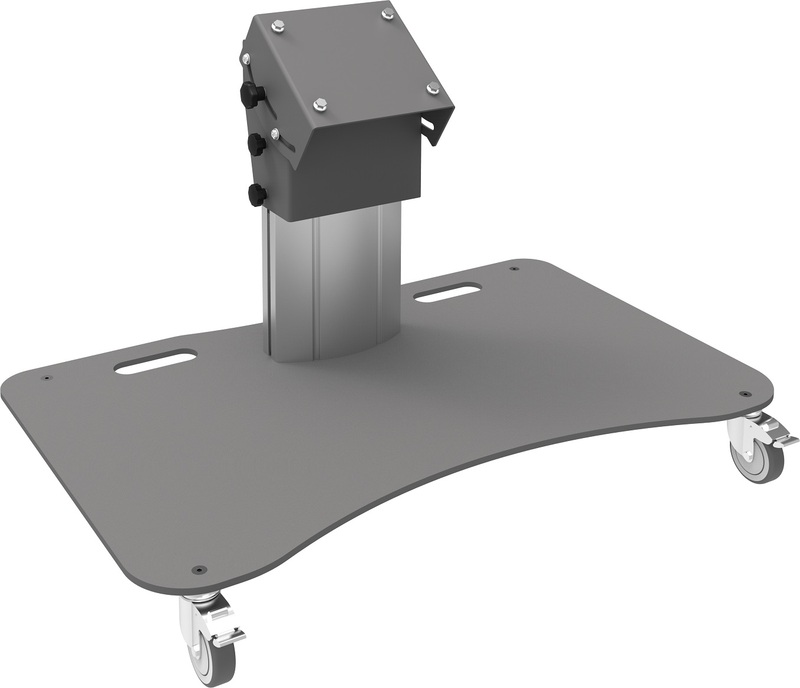 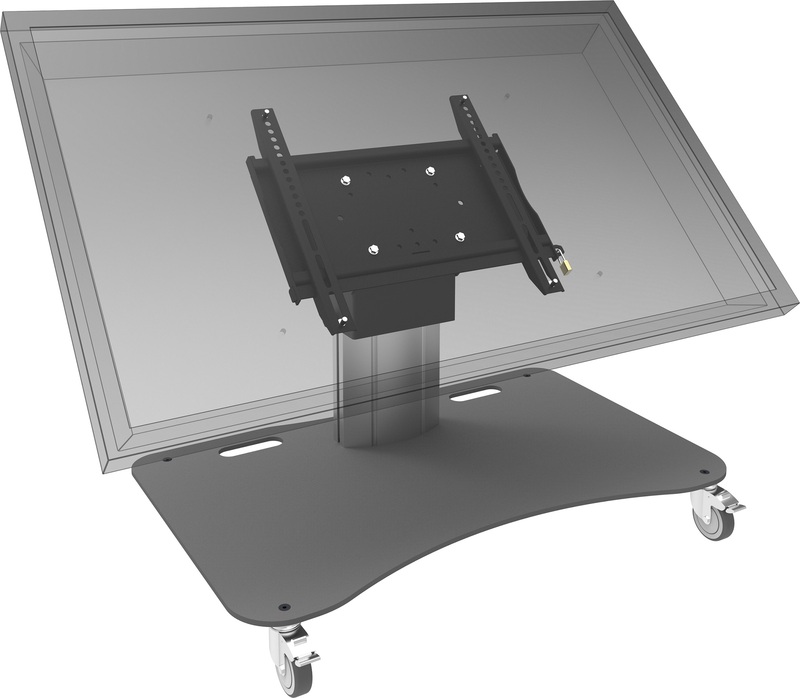 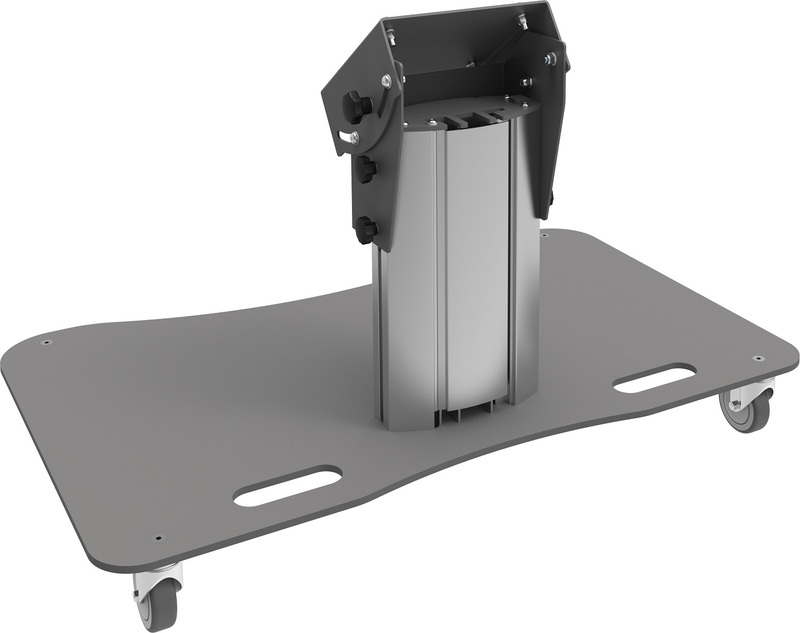 The mounting plate offering maximum VESA 400, also includes a fixation for a mini/NUC PC (VESA 75 and 100); to offer a quick and complete solution behind the monitor. 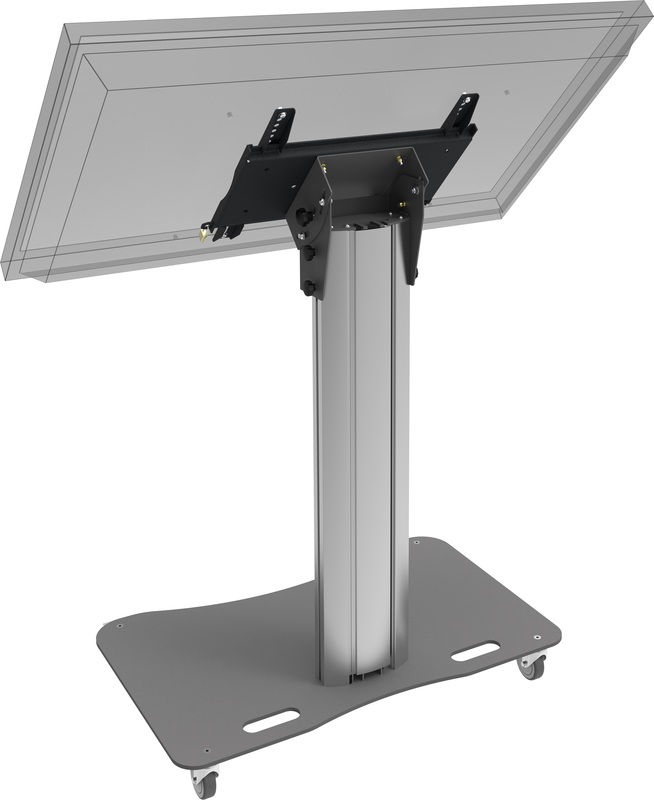 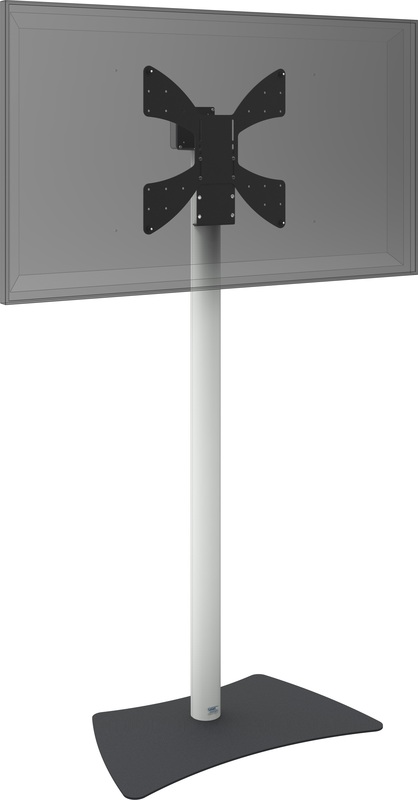 The SmartMetals® indivisible stand is particularly suitable for permanent installation. 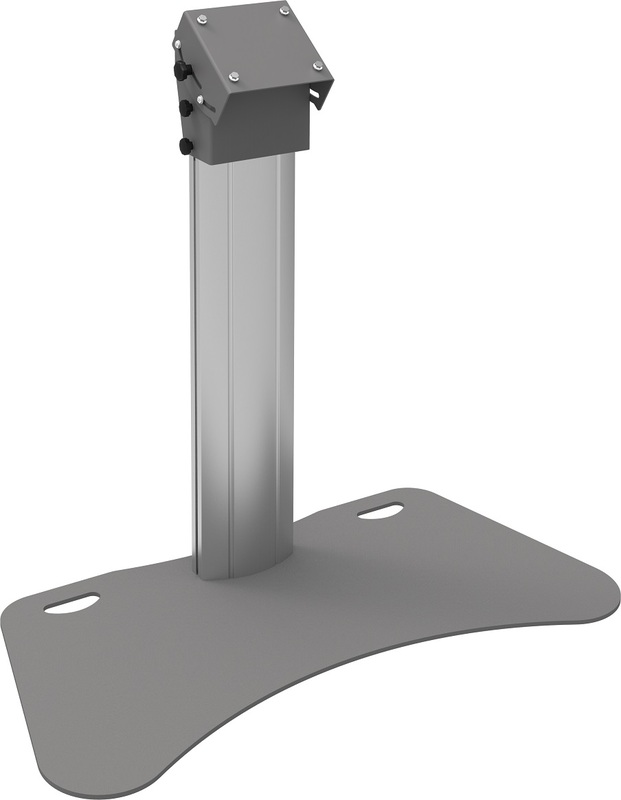 The stand allows positioning of the display over the full length of the column. 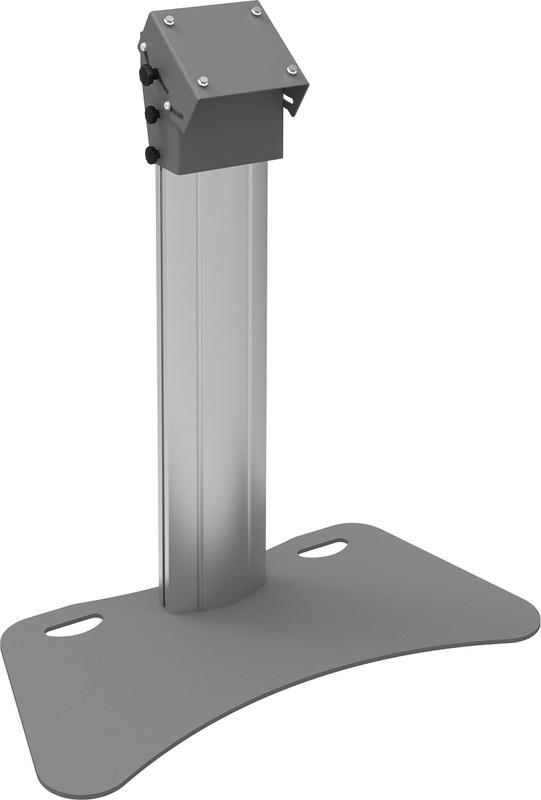 Furthermore this stand has three separate cable ducts, the screen can be protected from theft by means of a padlock. 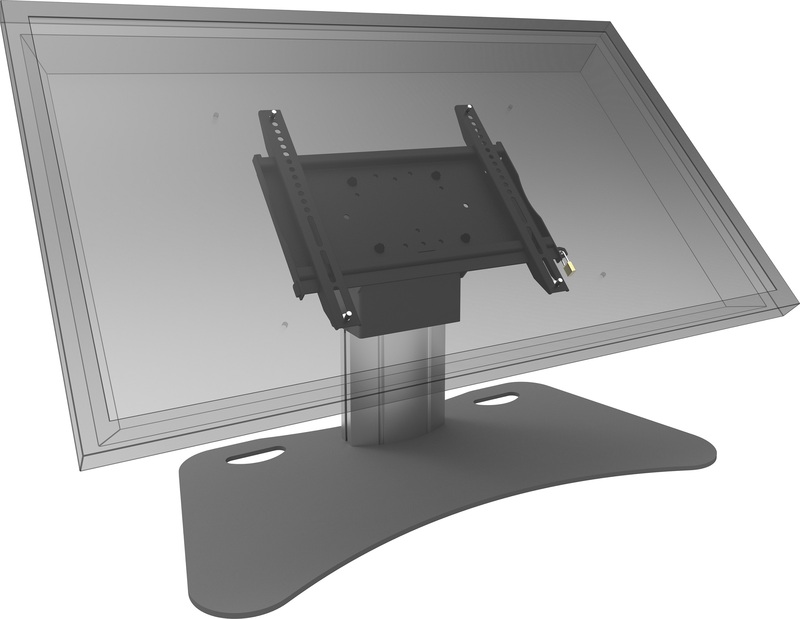 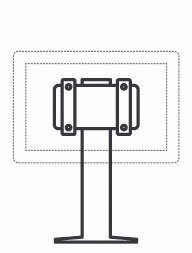 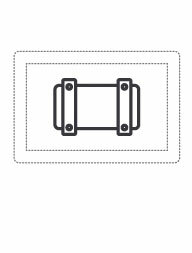 A universal wall mount with mounting system 170 x 140 mm should be added, which can be chosen by looking at the weight and mounting pattern of the screen. 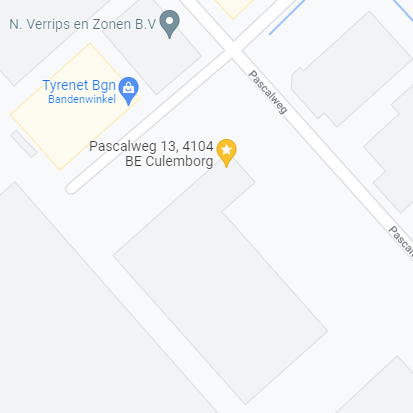 !TIP! 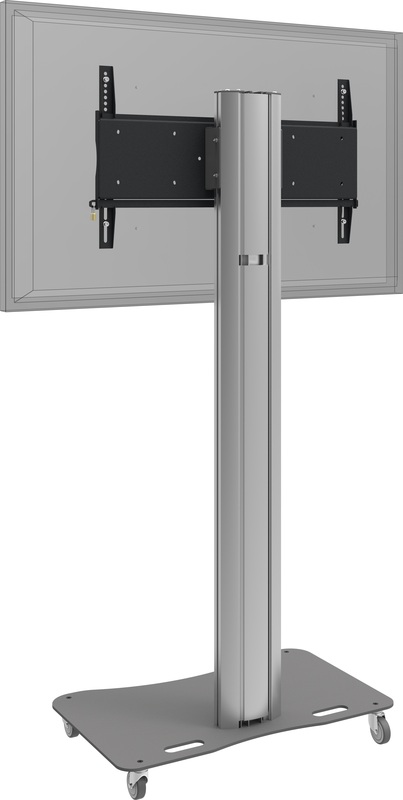 May you wish to mount multiple screens on this stand above one another, you can add stand head (art. 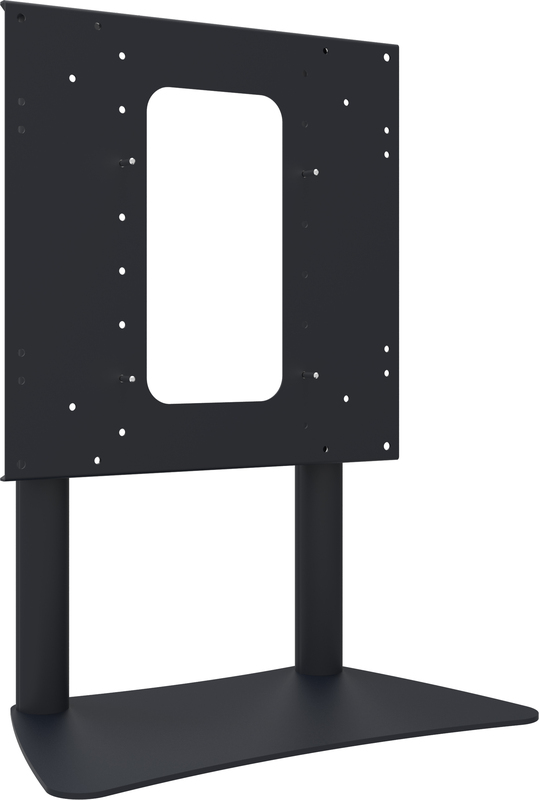 no: 063.0820) and a screen mount.